MIAMI - One person is dead after a car crashed into a light pole and caught fire early Wednesday morning. The crash occurred about 1:30 a.m. near LeJeune Road and Northwest 36th Street. Miami-Dade police said the car crashed into a pole in the median at the intersection and then caught fire. The driver died at the scene. 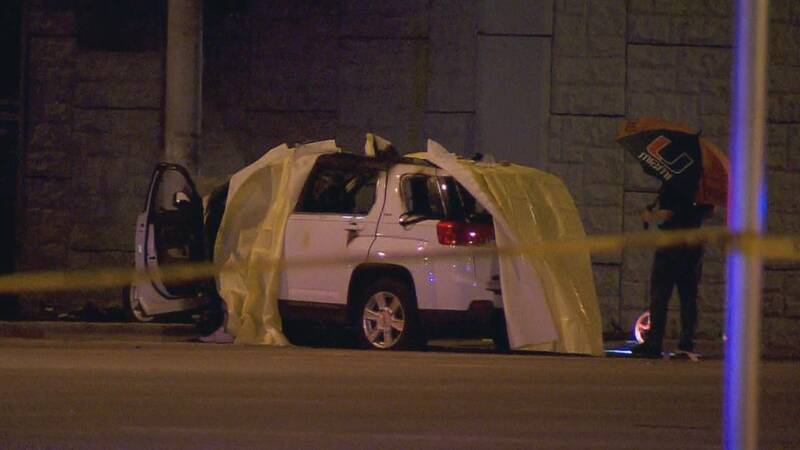 A passenger in the car was taken to Jackson Memorial Hospital's Ryder Trauma Center. The intersection at the northeast corner of Miami International Airport was closed for several hours Wednesday morning. It reopened about 8 a.m.